In the 1970s, London, Ontario-based artist Bob Bozak created a large and varied body of work influenced by hockey. These works included a locker room scene of glazed clay featuring a hockey stick, skates, and a Montreal Canadiens sweater; a chess piece topped by Bobbie Orr’s head; and a stoneware television “captured” by a goalie’s net. In hockey, Bozak found a rich repository of imagery and action that could be mined to explore two of his persistent themes: popular culture and the ethics of commercialism. 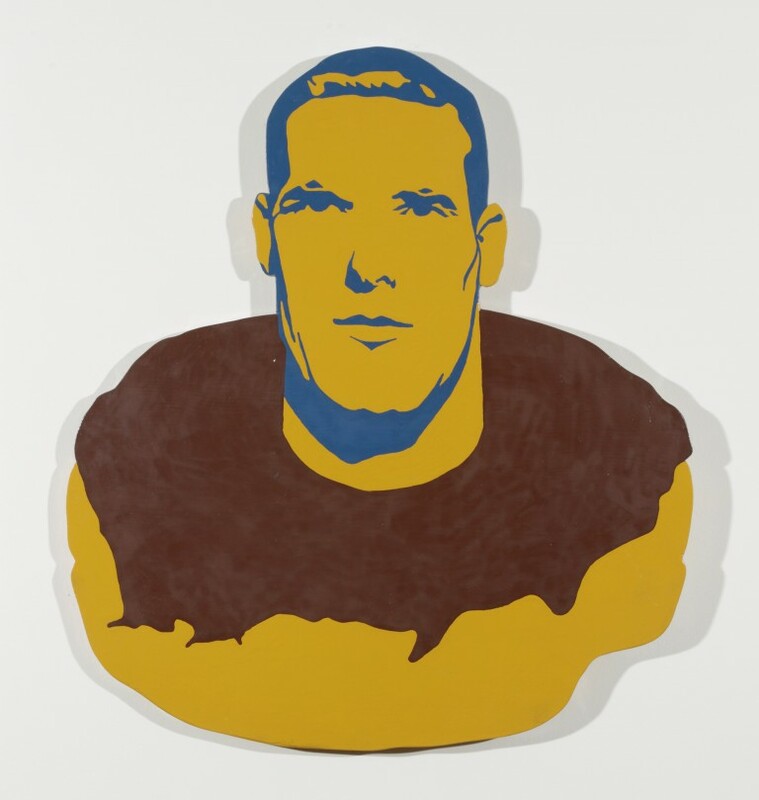 Tim Horton & Donut (1974) embodies both these themes. Though the coffee and doughnut chain that bears Tim Horton’s name has now eclipsed Horton’s legacy as a sports hero, he was a talented player who helped bring the Toronto Maple Leafs four Stanley Cups in the early 1960s. While expressing the exuberance of a fellow hockey fan, Bozak does emphasize—and, by extension, question—the commercial ties that bind Canada’s love of fast games and fast food. That both are now inextricably bound to notions of the Canadian identity speaks volumes about contemporary values and the power of the brands we allow to define us.